HomeNewsIndustry NewsIs the Tesla Semi on the radar of UK logistics firms? 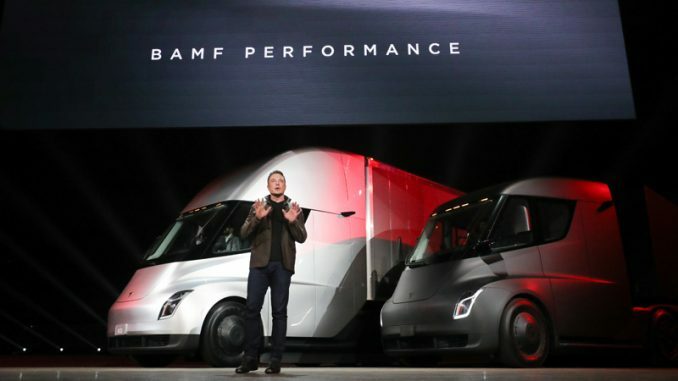 Some industry sceptics have questioned the Tesla Semi’s commercial viability in becoming a mainstream contender in the heavy truck sector. However, it appears that increasing numbers of well-known retailers and logistics firms are willing to give the new technology a whirl on their fleets. MT’s online tally of social media news from the likes of Walmart, Pepsico, UPS and DHL shows an easy 450-plus units already on pre-order from Tesla, while some online sources believe this figure could even top the 1,200 mark. The truck can be reserved for £15,000, with final costs expected to be £110,000 for a 300-mile-range truck, £140,000 for a 500-mile-range semi, and £150,000 for the top-spec Founders Series range. While the US version has been given a 2019 production date, Tesla told MT it was not able to confirm a European launch date at this stage. 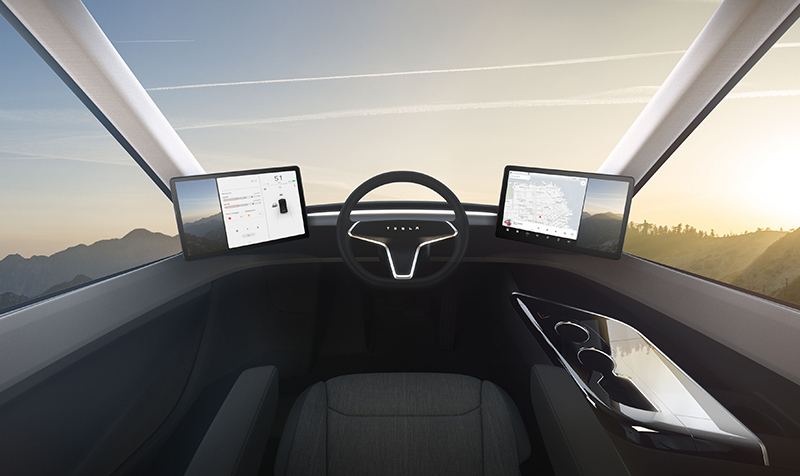 However, it has opened up its order book to three European countries – Norway, the Netherlands and the UK – although Tesla would not disclose to MT how many pre-orders had been taken from across Europe. One of the first companies in Europe to reveal its interest in the Tesla Semi was Dutch zero-emission operator Breytner, which announced its intention to order one unit in November. The logistics firm already runs a fleet of all-electric trucks in major Netherlands cities and is testing a 27-tonne rigid hydrogen-fuelled lorry as part of a European trial. He added that the Tesla Semi would be a disruptive influence in the European market, due to its “progressive technology” and pricing: “With the current price level, Tesla sets the benchmark for other OEMs. This makes a competitive total cost of ownership much more realistic,” he said. Lithuanian firm Girteka Logistics has also publicly announced an order for its pan-European logistics operation. “Girteka Logistics wants to be the greenest transportation company available, and electric trucks are the future,” said CEO Edvardas Liachovicius. Meanwhile, in Norway postal firm Posten Norge is looking to trial a unit, while wholesaler Asko is reported to have ordered a batch of 10. While MT is yet to hear of a confirmed order from a UK operator, the Tesla Semi is most certainly on the radar of many. Bibby Distribution said it is “absolutely watching” the progression of Musk’s creation. “It’s the way technology is heading,” said head of fleet and procurement Adam Purshall (pictured). 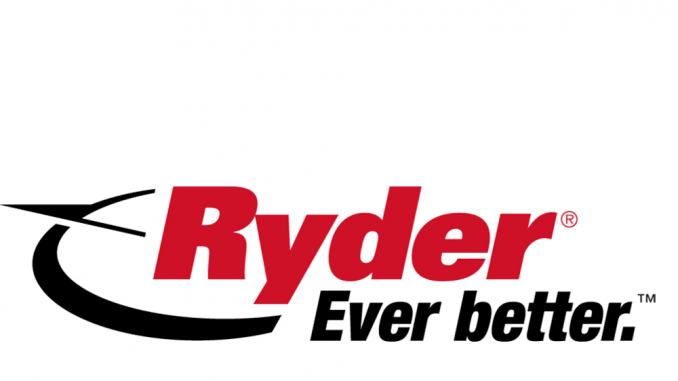 “We’re seeing it in the car market, in terms of the rise in hybrids and fully electric cars. As the battery technology improves, it will follow in the commercial world as well. He added that Bibby Distribution is keen to be at the forefront of trialling new technology, acknowledging the fact that early adopters will have to cope with operational teething issues. Rental firm Fraikin UK told MT the company is positioning itself as a key player in the alternative fuels market and is monitoring closely the development of fully electric heavy trucks. 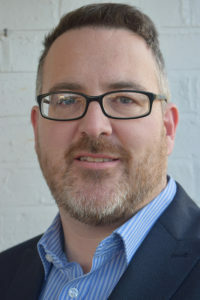 Head of procurement Ben Jones said: “In terms of Tesla, it’s interesting to see how it perceives the industry and the direction in which it thinks it will move. 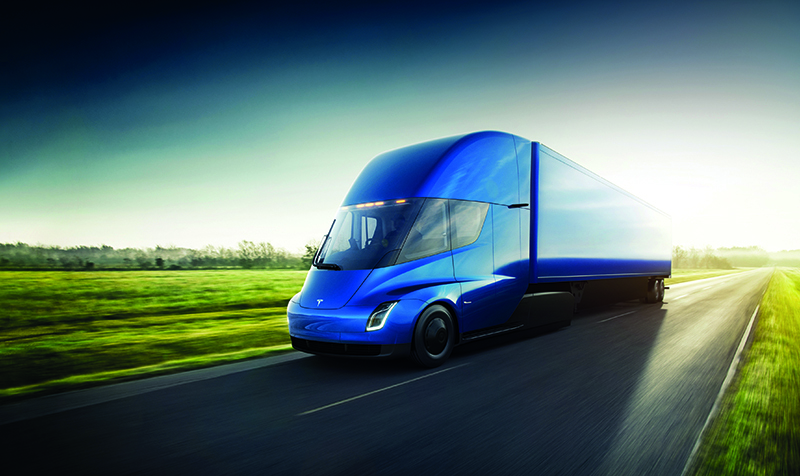 Fraikin believes that if the signs are positive and Tesla goes into mass production, the electric truck could be a serious consideration. However, in the short term, the focus is more likely to be centred around natural gas or hybrid solutions, with all-electric lighter trucks used for urban operations. 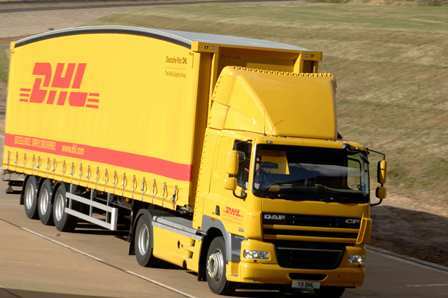 DHL meanwhile, having already announced an order of 10 Tesla Semis for its US same-day operation, is keen to watch how the technology develops for the UK market. A spokesman told MT: “In March 2017, Deutsche Post DHL Group announced its commitment to reduce all logistics-related emissions to net zero by 2050. Zero-emission technologies represent an important pillar for our future fleet development and we welcome innovations such as the Tesla Semi. 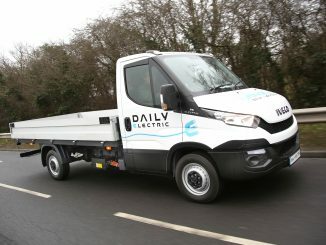 Regarding the wider adoption of electric trucks for its UK fleet, DHL said it first used these more than a decade ago in 2007, and has since gained “a great deal of experience”. A new All-Party Parliamentary Group (APPG) has been set up to boost awareness of the benefits and opportunities of electric and automated vehicles. Nisa is upping its profile with the launch of 68 trucks decorated with liveries advertising its Heritage range. DHL has taken over transport and distribution from Wincanton for the former Morrisons convenience store estate.